Add instant style to your bathroom with this beautiful vanity light. Finished in brushed nickel with beautiful white glass shades. This Commercial Electric 1 light bathroom sconce consists of a durable construction with a simple, classic style that brings a new look and feel to any bathroom. 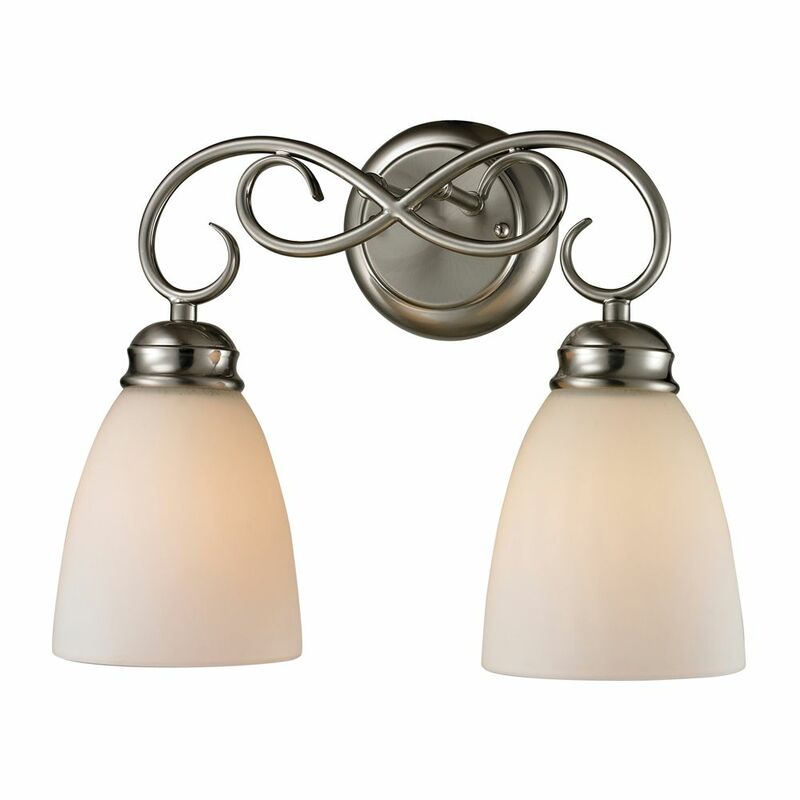 The modern brushed nickel finish is offset by a white opal glass shade and easily matches similar bathroom fixtures. Beaming opal glass tubes of light glow brightly in this minimal contemporary bath bar. Stunning in its simplicity, the Pillar collection offers light from the top and the bottom for twice as much light. The cornerstone of the satin Collection is quality, and this bath bar is no exception. Combining a classic nickel finish and posh styling, you will find no better way to highlight the charm of your home. With the superb craftsmanship and affordable price this fixture is sure to tastefully indulge your extravagant side. 2 Light Bath Bar In Brushed Nickel With Led Option Add instant style to your bathroom with this beautiful vanity light. Finished in brushed nickel with beautiful white glass shades.